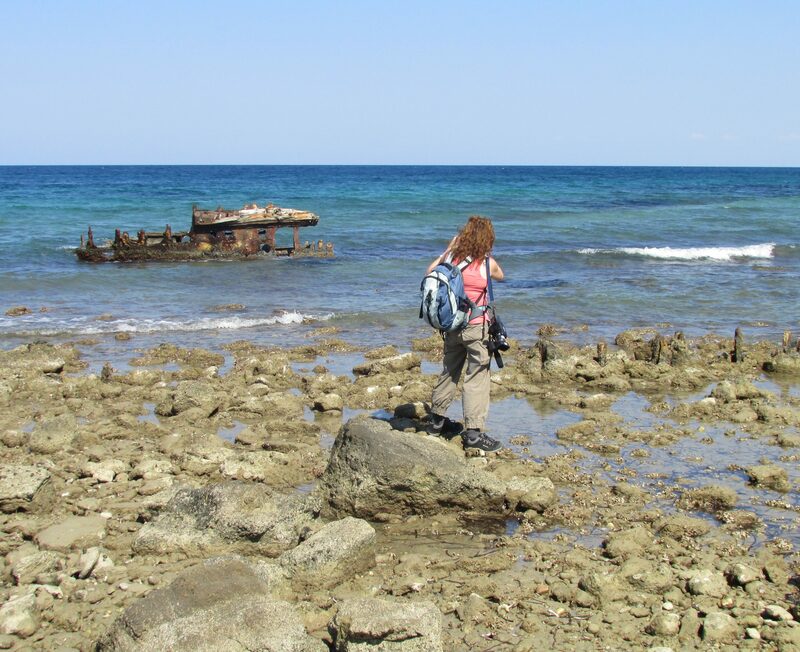 In the sea at Gully Beach, a few metres off shore, you will see the wreck of a small ship. (Pictured above, graced by Lynn in the foreground taking a better photo than mine!) On the left is the cabin, and further to the right the ribs of the bow. The records allow us to identify this vessel with some certainty. Primary sources show that on the night of 9th January 1916, during the final stages of the evacuation, a ‘K’ type lighter ran aground at Gully Beach due to the stormy weather conditions. 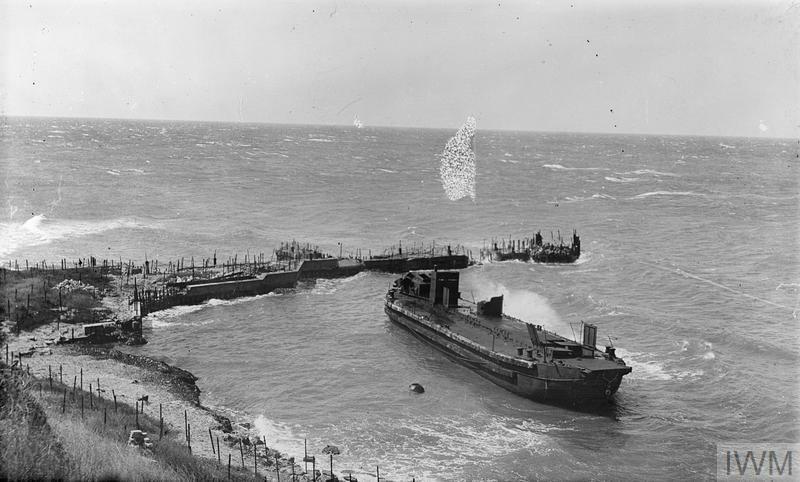 A 1919 photo shows the vessel aground and still intact, below, right. Image used under the IWM non-commercial licence, © IWM (Q 13917). the fuses have been lit. and forget your ruddy kit! There were several rather bawdier versions! In calm conditions, it is safe to swim at Gully Beach and to reach the wreck of the lighter, which lies in no more than 1 metre of water. It is best to check beforehand to see if any current is flowing, and also to ascertain the wind direction. (If the wind is blowing from seaward to shore, which is usually the case, it will tend to push you ashore, which is safer. There are no discernable tides here). Some kind of footwear is recommended due to the fringe of stones, weed and shells close to shore. Further out, and around the wreck itself, the bottom is clean soft sand. Wet boots or beach shoes are ideal. The usual disclaimers apply! Close to shore, remains of the landing piers can also be seen.